I ordered a waist coat for my husband. Responsive customer service team, who answered quickly and efficiently. I had to return the first one, wrong size, my fault and no quibbles from them. Postage and packing and returning very easy. Email response to say money had been returned and replacement order equally excellent. Good quality @ Good prices! Another quality piece purchased at a great price! Very generous loyalty points scheme makes Brook T even better! Fast delivery and kept up to date by text. Great place to shop! The delivery and return service is excellent. The blazers and suit my husband has recently purchased are top quality. They look as good as new year after year. good value, easy to order,prompt delivery. 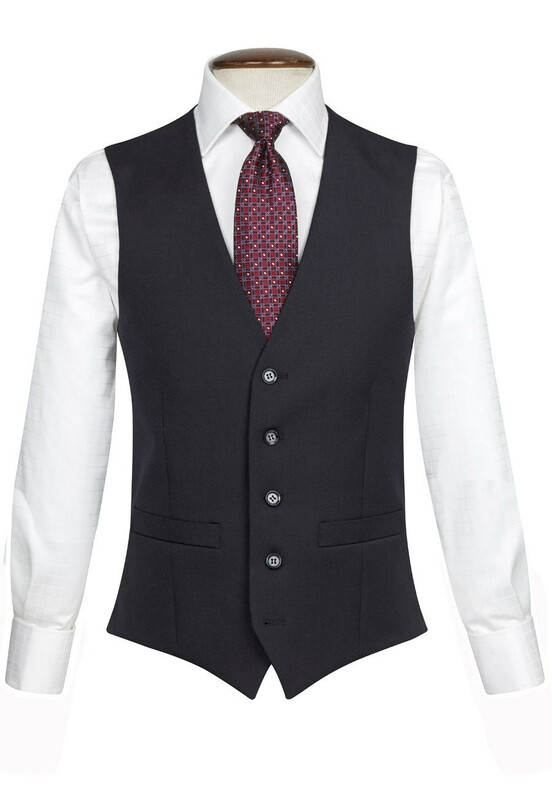 Great fit and stylish waistcoat.